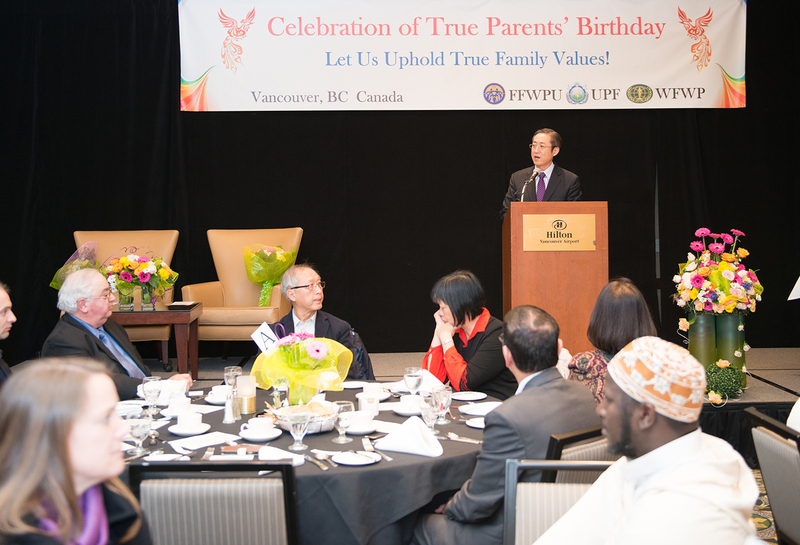 FFWPU Canada held the celebration of True Parents’ birthday in Toronto (Feb. 21) and Vancouver (Feb. 22). From last year, this has been the most important event and it has been also the offering to Heaven by the Blessed families. Each city invited more than 200 participants such as Peace Ambassadors, FFWPU members, and their contacts. Through the program, they celebrated True Parents’ birthday and shared the core teaching and learned about their life course. 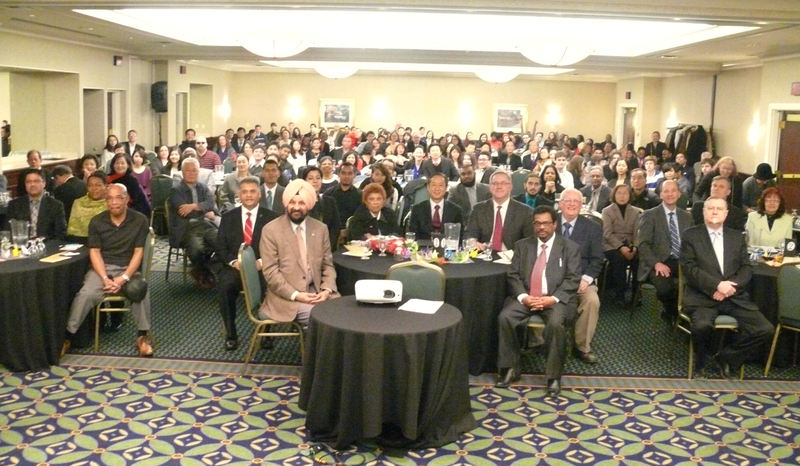 Toronto event was held at Marriot Hotel in downtown on Saturday, Feb. 21 from 4:00 pm. Many local leaders such as Harinda Malhi (Member of Provincial Parliament), Gurbax Singh Malhi (Former Member of Parliament), Jean Augustine (Former Member of Parliament), Nasil Hoossen (Member of Parliament candidate) and others participated. Through his keynote address, Rev. Moonshik Kim, President of FFWPU Canada, sketched True Parents’ life course: True Father’s calling by God through his encounter with Jesus at age of 16, prayerful research for the new truth, his Blessing marriage with True Mother in 1960, his six-time-incarcerations with groundless accusation, his life of loving his enemies, and his dedication and love for the liberation of God and salvation of humanity. As the representative of Peace Ambassadors in the region, Mr. Armand LaBarge (Former Chief of Police, York Region), who is currently one of the vice president of Sun Moon University, shared his personal testimony on True Parents. In his speech, Mr. LaBarge testified True Parents as historical figures who contributed to human history. 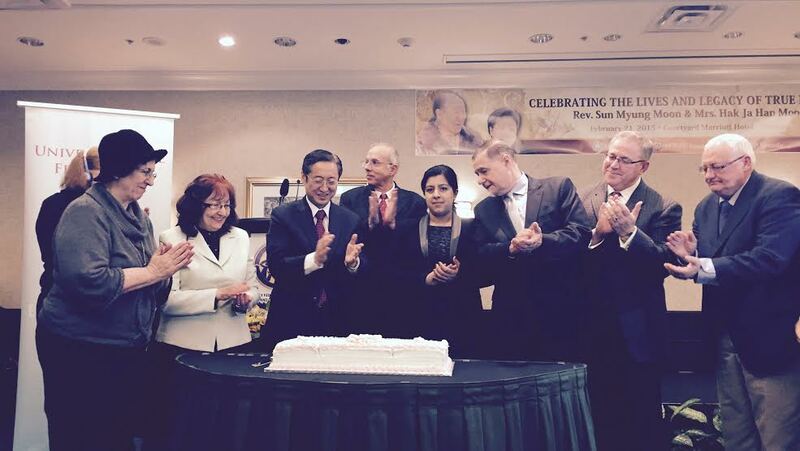 Harinda Malhi (Member of Provincial Parliament) gave plaques of gratitude to Dr. Moonshik Kim and Rev. Mitch Dixon (UPF central district leader) for long-term contribution of UPF for its peace activities. Later some local leaders were appointed by Dr. Kim and Rev. Dixon as new Peace Ambassadors under the name of True Parents. After lunch, Rev. David Steward explained about the Blessing Marriage, Rev. Dixon gave a brief lecture on True Father’s course, and Mrs. Lily Tadin (president of WFWP Canada) shared True Mother’s course. 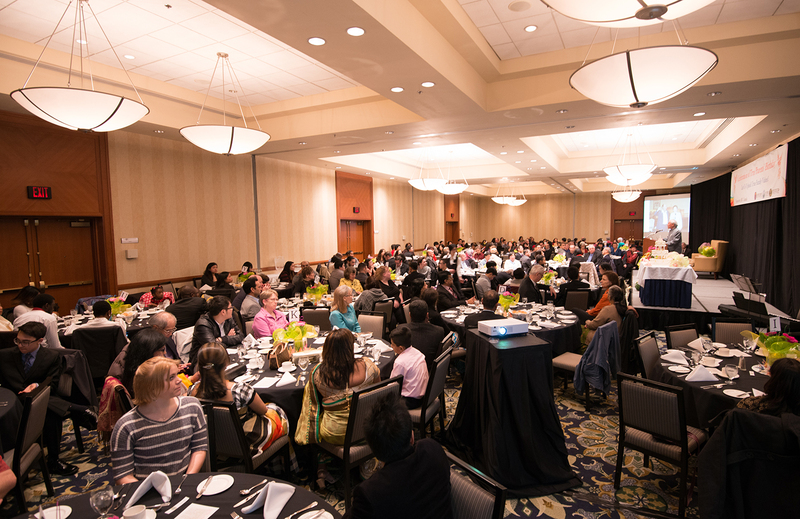 Celebration in Vancouver was held at the Hilton Hotel on Sunday, Feb. 22 from 5:30 pm to 8:00 pm which was the next day. This time, Vancouver church had sent more than 400 invitation letters and emails to religious leaders, politicians, and leaders in other fields, and followed up with telephone calls. As a result, 12 new religious representatives participated in the celebration, which was honored as well by the congratulatory message by the parliament members Hon. Kennedy Steward, and Hon. Alice Wong and other local leaders. Vancouver event started with the welcome remarks by Rev. Katsumi Kambashi (FFWPU Western District Director), followed by the congratulatory message by Dr. Acharya Dwivedi. Dr. Dwivedi testified True Parents as worldwide peace makers who have been working hard in their inter-faith and inter- cultural activities. Dr. Moonshik Kim shared the same speech he had shared in Toronto. After dinner, Rev. Alan Wilding (UPF Director for Western Canada) shared his testimony in tears when he met True Parents for the first time in 1971 and how True Parents love God and all members. It should be mentioned that the celebration was a good opportunity for all 2nd gen as well to learn more about True Parents and their life course. For the success of the birthday celebration, members held jeongseong period (40 days in Toronto and 43 days in Vancouver), collected donation, and were actively involved in witnessing activities. Both events successfully accomplished its purpose, that is, to honor True Parents and offer our gratitude to them, and also horizontally the celebration was the momentum in the activities of Tribal Messiahship bringing people to True Parents.